Marguerite Siciliano passed away on July 23, 2017 at her son’s home in Manchester, New Jersey. Marge was born on July 9, 1931 and was a lifelong resident of Staten Island, New York. She is predeceased by her parents, August and Lucy LeBlanc, her sister Theresa and her grandson Anthony. Marge is survived by her husband of 70 years, Anthony, her children James Siciliano and his wife Maryann of Jackson, NJ, Anthony Siciliano and his wife Ann of DeBary, Florida, Sharon Potenza of Manchester, NJ Laura McClaughry and husband Charles of Jackson, NJ and Gregory Siciliano and wife Dolfe of Manchester, NJ, 12 Grandchildren and 9 Great-Grandchilden. She is also survived by siblings Rosemarie Fallar, Donald LeBlanc and Edward LeBlanc. 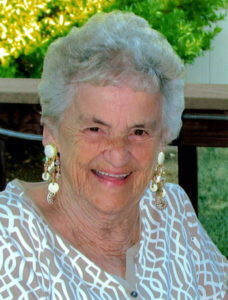 Marguerite enjoyed garage sales, trips to Atlantic City and time spent with her family and friends. A funeral mass will be held on Saturday, July 29 at 10:30am at the Church of St. Roch’s, 602 Port Richmond Ave,. Staten Island, NY. Condolences to Mr Siciliano and the Siciliano Family. Mrs Siciliano was one of nicest people I have ever met. She was kind to all. She got me my first job when I was a high school kid at KFC on forest Ave. God Bless her and her family . We have lost a truly Good Person. R I P Mrs. Siciliano.